Lower Sodium Intake Reason for Fewer Heart Disease Deaths? Home » Heart Health » Blood Pressure » Less Sodium More Effective vs. Meds in Preventing Death from Heart Disease? 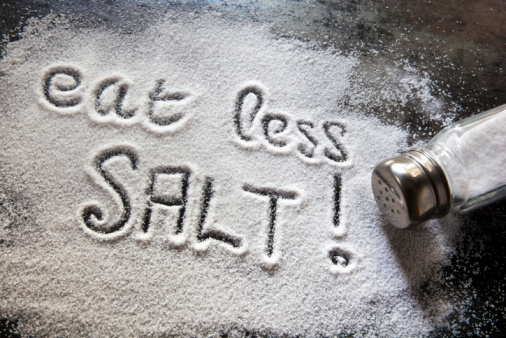 For decades, the main recommendation for reducing blood pressure has been to limit your sodium intake. During this time, there have been multiple attempts at defining the “safe” level of sodium consumption. These recommendations have been debated for years. We have also known for decades that high blood pressure is an independent risk factor in the development of cardiovascular disease. High blood pressure remains one of the most common health concerns currently being treated in the U.S. today; regardless of the cause, high blood pressure is one of the most commonly treated conditions accounting for the prescription of several types of drugs. Every year, a record number of people develop this chronic disease. Of course, the established risk calculations regarding the development of high blood pressure caused by sodium excess and cardiovascular disease are relatively undisputed—but is there a relationship between the intake of sodium and death from cardiovascular disease? A recent study out of England indicates that the death rates from cardiovascular disease have shown a steady decrease over the last 10 years. What the researchers wanted to understand was if this exciting trend had anything to do with the average daily consumption of sodium. From 2003 to 2011, the average amount of sodium people ingested decreased by 15%, while the death rates from heart attack and stroke also decreased by a whopping 40%! The researchers arrived at their conclusions based on health survey data gathered from more than 31,500 adults. They also studied the urine samples of 3,000 randomly selected adults over the same period. They calculated the average daily consumption of sodium from this information. The researchers discovered that the average consumption of sodium had decreased from 9.5 grams to 8.1 grams per day. What they also discovered was that approximately 70% of adults living in England were consuming more than the recommended amounts of sodium, set at six grams per day. The majority of the intake of sodium (80%) was attributed to the intake of processed foods. Most important, though, is that average reductions in blood pressure of 2.7/1.1 mmHg were discovered in people who were not taking any medications! This led researchers to surmise that the drop in sodium use decreased the average blood pressure in the English population, accounting for the decrease in death rates from heart attack and stroke. Although this research was conducted in England, the same pattern of sodium consumption is the norm in the U.S. today. The important takeaway message for you here is that the reductions in the amounts of sodium you eat can reduce your average blood pressure regardless if you are being treated with medications. This reduction in blood pressure can effectively lower your own risk of dying from the complications of cardiovascular disease, the leading cause of death in the U.S.
McNamee, D., “Is reduced salt intake linked to the fall in deaths from cardiovascular disease?” Medical News Today web site, April 15, 2014; http://www.medicalnewstoday.com/articles/275507.php. He, F.J., et al., “Salt reduction in England from 2003 to 2011: its relationship to blood pressure, stroke and ischaemic heart disease mortality,” BMJ Open April 14, 2014; 4(4): e004549.